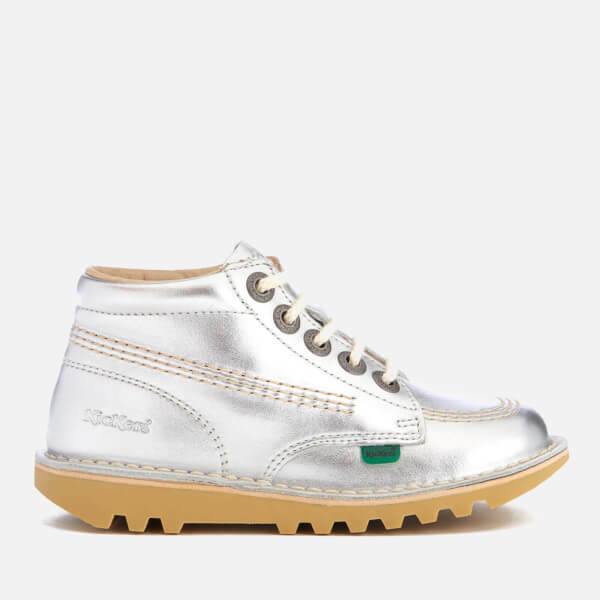 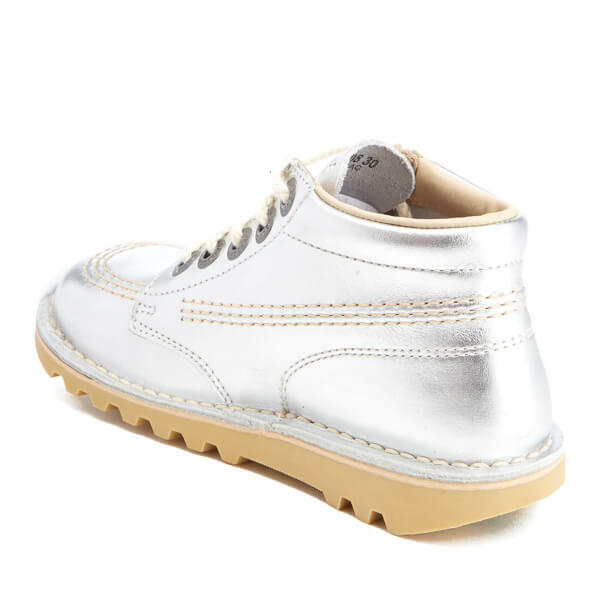 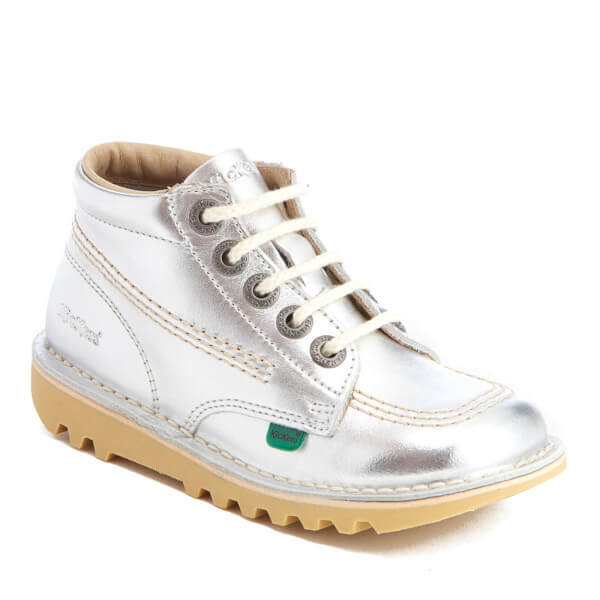 Kids' metallic leather boots from Kickers with a premium leather upper and a chunky rubber sole. 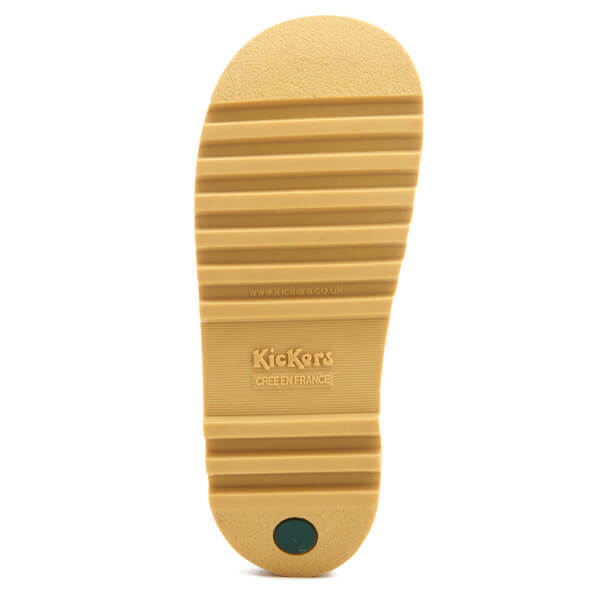 Showcasing Kickers' trademark, hardwearing style, the 'Kick Hi' boots feature a lace up front and contrast triple stitch detail throughout. 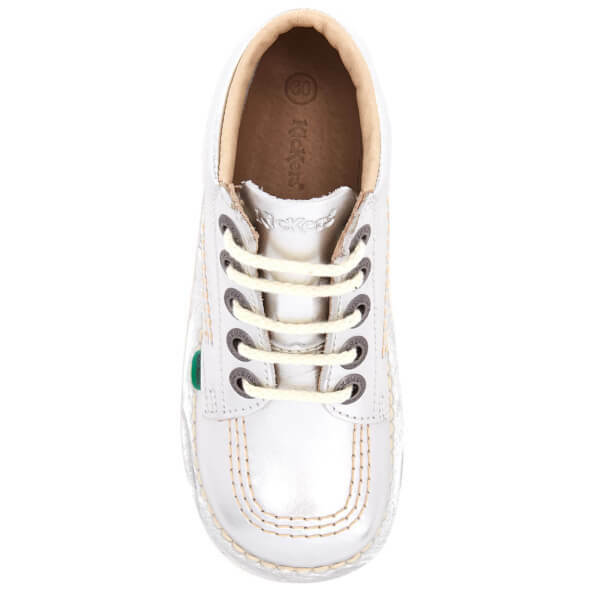 Complete with an embossed logo to the heel and a green branded tab.